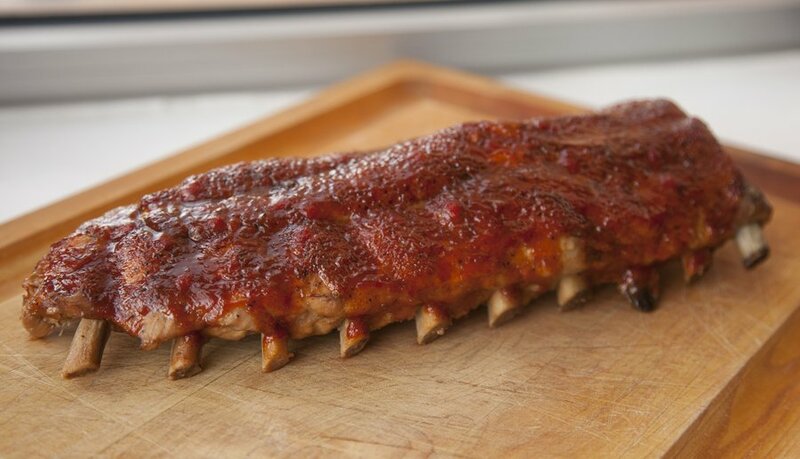 My husband and I are super into BBQ....especially ribs. We are so into BBQ and spice rubs that for our wedding favor, we created our own special spice blend (Bojo Rub) and bottled them for our guests. We take our food seriously in this house....especially when it come to pork and BBQ. 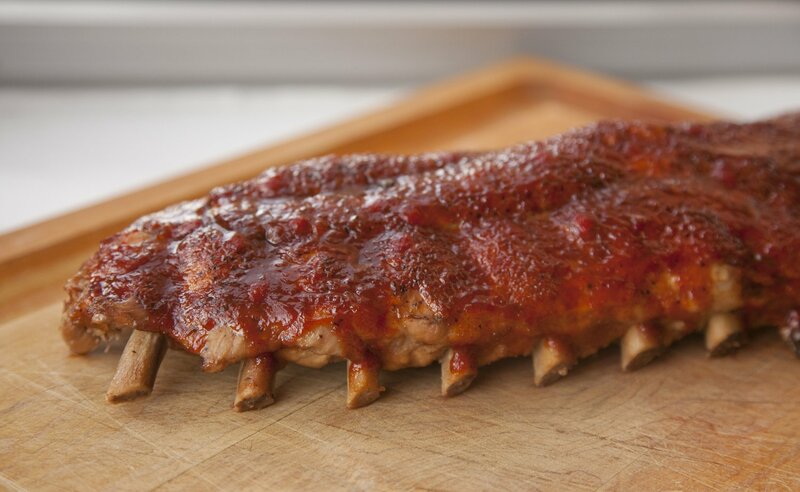 Whereas my husband Justin tends to like the dry rub ribs, I am all about the ooey gooey BBQ Sauce Ribs. So tonight's dinner, is exactly that- Sara style ribs! 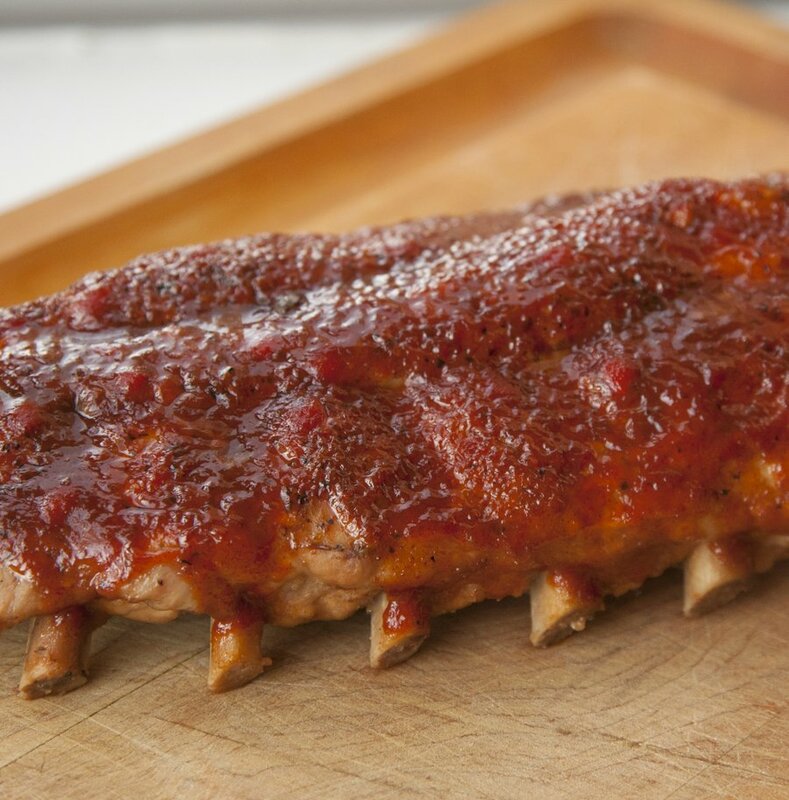 These are super easy to make and are fall off the bone yumtastic. I decided to use my own homemade BBQ Sauce (recipe below) but of course a jarred sauce is great too! Some suggestions: Stubb's (my favorite), and Bone Suckin' Sauce. The fun part about making your own sauce is that you can tailor it to your tastes.....like heat? Add some Cayenne. Like some smokey flavor? Add in some liquid smoke. Like em sweet? Add brown sugar and molasses. Preheat your oven to 300 degrees. On a baking sheet, lay out a long sheet of tin foil, lay your ribs on top, bone side down. 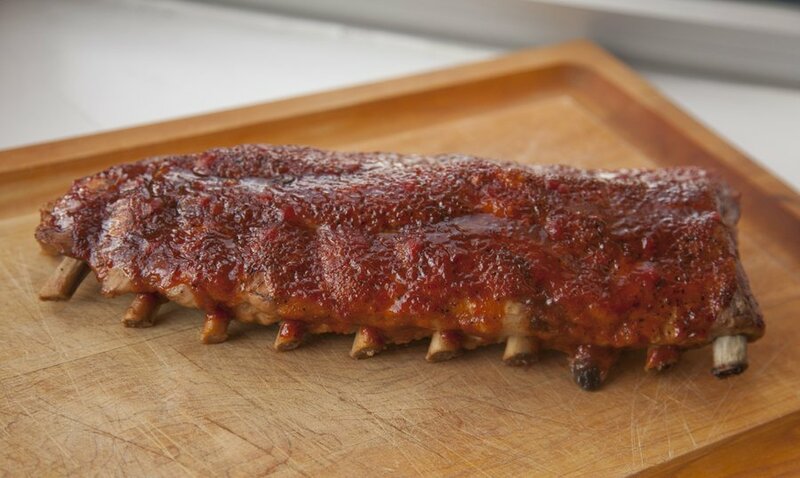 Season your ribs with salt, pepper, chipotle pepper, and mustard powder. 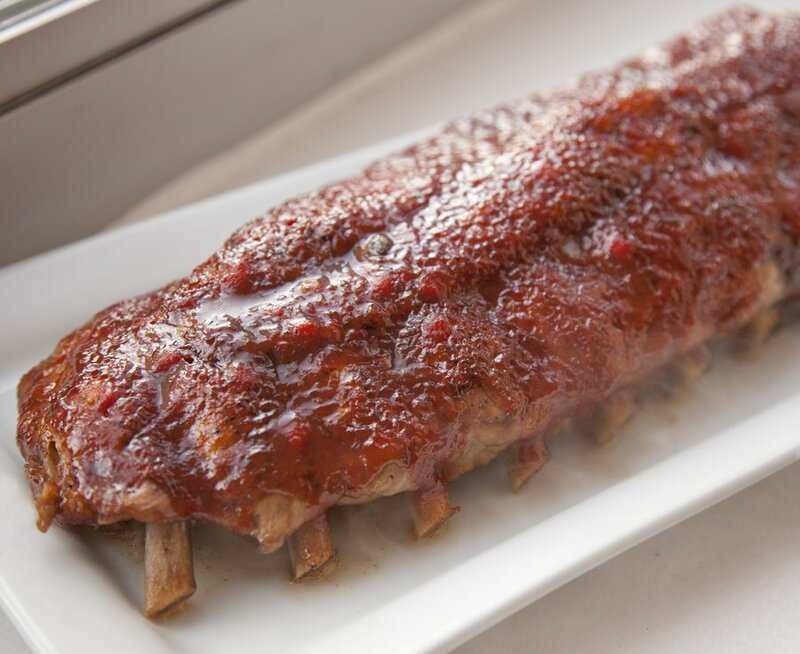 Fold the foil up around the ribs. 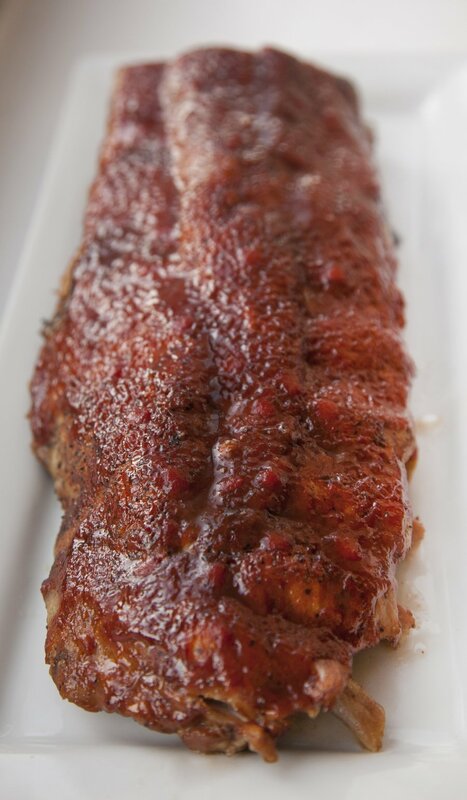 Before sealing the foil, pour in the apple cider vinegar around the sides of the ribs. Seal the foil.